Posted on September 27, 2013 by bestteacherblog Posted in Elementary, High School, Middle School, My Products, Teachers Pay Teachers	. A few weeks ago I created an “UNO” style parts of speech game named “ONE” that reinforced verbs, nouns, adjectives and pronouns. 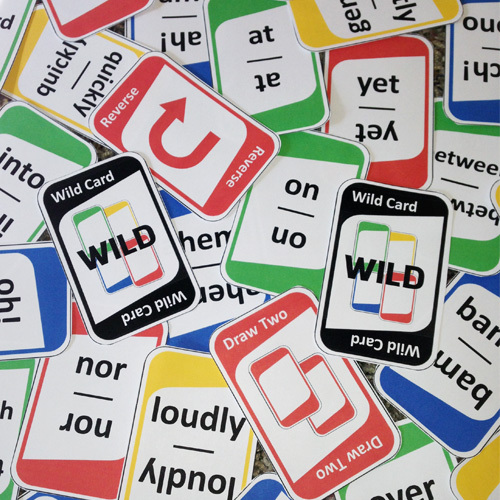 Yesterday, I finished up the expansion pack that reinforces adverbs, conjunctions, interjections and prepositions! 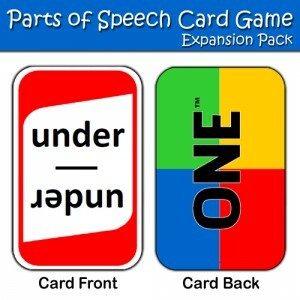 The expansion pack is a great supplement for a lesson on adverbs, conjunctions, interjections and prepositions OR it can can be used by students who need a little bit of extra practice with these parts of speech. All the rules are the same except that players change suit by laying down a card with the same part of speech instead of numbers 1-9. The green “under” card is the face-up card. As a player, I may play a card with the same part of speech (i.e. another preposition) or a card with the same color (green). Click here to check out the adverbs, conjunctions, interjections and prepositions set. Click here to check out the verbs, nouns, adjectives and pronouns set. 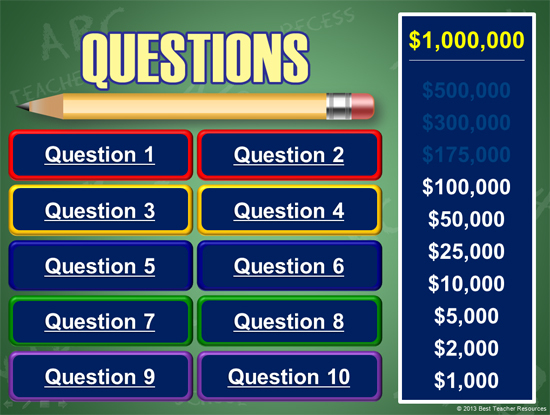 If you’re ready to play this game in your class, get it here. Posted on September 24, 2013 by bestteacherblog Posted in Elementary, Freebies, High School, Middle School, Online Resources	. I created this list of fourteen websites that offer free eBooks for teachers because I love integrating technology into my classroom! With every lesson, I try to think of at least one element that I can convert from a traditional format into something digital or electronic. Sometimes, it’s as easy as swapping the traditional print version with an eBook! For those of you who are interested in using eBooks in your classroom, keep in mind that NOT every book is available in eBook format. Most of the websites listed below only offer FREE eBook versions of works that are public domain or works that they have permission from the author. Bartleby publishes digital versions of thousands of free classics including literature and nonfiction. E-Books Directory is home to around 8.300 free electronic textbooks, documents and lecture notes. The University of Adelaide in Australia offers a very user-friendly eBook search experience. You can browse the books it offers by author, title or by using the Google-powered search function. This site lets you browse thousands of eBooks from new, up-and-coming authors. A free eBook search engine that allows you to search the internet for already-known eBook listings. With Google Books, you can search (shocking, I know) and preview millions of books from libraries and publishers around the world. 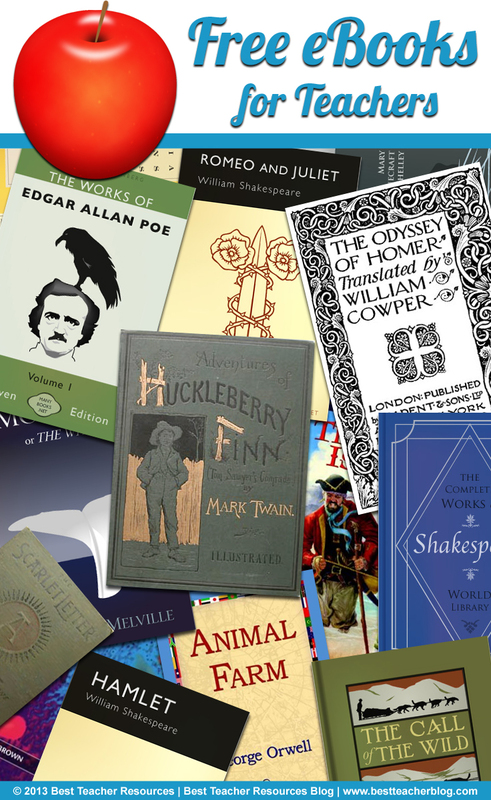 Many Books is an index of over 29,000 free works that can be searched by author or title. 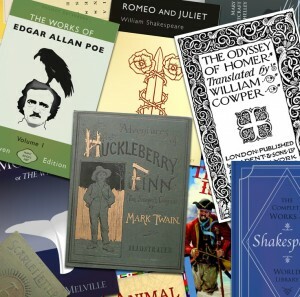 Open Culture provides links to 500 free eBooks including Don Quixote, Heart of Darkness, The Red Badge of Courage, Les Miserables, Animal Farm, MacBeth and The War of the Worlds. The headline on the Open Library website is, “The World’s classic literature at your fingertips. Over 1,000,000 free eBook titles available.” ‘Nuff said? All of the electronic novels and books that are available on Planet eBook are free for you to download and share with your students and colleagues. Project Gutenberg offers 42,000 free eBooks. Some of the top downloads are The Adventures of Sherlock Holmes, Pride and Prejudice, Adventures of Huckleberry Finn, Frankenstein, Dracula and Jane Eyre. I’m guessing that you already have an idea of the kind of eBooks that Science Books Online offers, but in case you’re not feeling very imaginative today, this website lists free science eBooks, textbooks, lecture notes, monographs and other science-related documents. Freely download all kinds of documents (including eBooks) covering thousands of different topics. This awesome website is home to TONS of freebies for teachers, by teachers. These freebies include eBooks containing grade-appropriate worksheets, activities, crafts and more! Click here to visit my store on TeachersPayTeachers. Please don’t forget to pin this post to Pinterest, “like” it on Facebook, and share it with your colleagues! Have you ever used eBooks in your class instead of traditional texts? What did you think? Did your students enjoy it? Let me know in the comments below!